As a father, I’m used to being ignored when I ask a question. My children seem to have selective hearing loss (the doctor assures me this is a common malady). 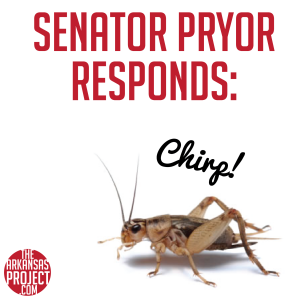 It seems that Senator Mark Pryor may be suffering from the same thing. He ignores me, too. I used to work for a U.S. senator, so I have a pretty good handle on how to read legislation. I did a lot of research on the Consumer Product Safety Improvement Act (CPSIA). The previous seven blog posts on CPSIA I put up over the last two weeks are the result. I’m well-informed on CPSIA, but I’m no expert on it. Although pretty much everything I read discussed the negative effects of this law, I knew there was probably another side to it. So I reached out to Senator Pryor’s office to ask some questions about the law. In his statement on the 5th anniversary of CPSIA, Sen. Pryor also credited the law with reducing lead in children’s toys. Clearly it’s a problem if children have elevated lead levels in their blood, but I can’t find any evidence that pre-CPSIA toys contributed to this problem. Is there anything you can point me to that would indicate that the CPSIA has cut lead levels in children? 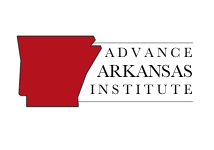 In a statement on the 5th anniversary of the law, Sen. Pryor said that since the law was passed “we’ve cut fatalities in half.” Does the senator credit CPSIA for that? If so, can you be specific with how it accomplished this? That seems pretty straightforward, right? My research led me to be very skeptical about the effectiveness of this law. But if I was missing something, I’d like to know. The law has caused severe disruption for many business owners. A store in Conway even closed because of it. It would be nice to see some indication that the law was actually accomplishing something worthwhile in return. But all I received was silence. That’s fine. I know how it goes. Sometimes it’s best for a senator to ignore criticism and hope no one notices it. It’s not just me who is criticizing CPSIA, however. The backlash against the law was large, especially in the first few years of its implementation. Defenders of the law generally blamed the Consumer Product Safety Commission (CPSC) for the various problems businesses were experiencing. Having worked in Washington, I know this is a common tactic. After Congress passes a law and the president signs it, politicians are full of praise for all the great things the law will do. Then when the bureaucrats implement the law as written, these same politicians scream at the bureaucrats. The politicians love to take credit for the good intentions behind the law, but not the negative consequences of implementing their legislation. So it goes with CPSIA. There is certainly some truth that the CPSC could have taken a more common-sense approach when implementing CPSIA. Former Acting Commissioner Nancy Nord discusses this in more detail on her blog. But the fact remains that CPSIA imposed a hugely expensive burden on the manufacturers of children’s products. The law itself was flawed, as was illustrated when Congress passed a package of CPSIA amendments in 2011. 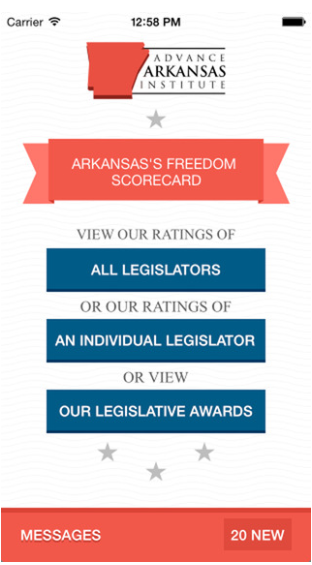 Senator Pryor doesn’t have many other legislative accomplishments. CPSIA is certainly one of his biggest. If that were my legacy, I wouldn’t want to answer too many questions about it, either. One note — this blog series only touched on a few ways that CPSIA wreaked havoc on American business owners. I’ve mentioned it frequently, but if you really want a list of the various problems caused by CPSIA, Walter Olson’s blog, Overlawyered, is the place to go. I relied on it heavily for this series, and Walter’s advice to me in researching this law was invaluable. If you have any doubts about the law’s flaws, a visit to his blog should clear them up.